On Thursday, Feb. 28, BEAU hosted BEAU.Palooza for the second time. The event gives visitors a chance to see inside Broadview Entertainment Arts University and learn about its visual arts, production arts and business degree programs. This time, Radio Disney brought their special brand of dancing, games, giveaways and fun onto campus. Our visitors got the chance to meet the Disney representatives, hang out and party, and several people took home tickets, posters and other really cool Disney SWAG. Once the BEAU.Palooza participants got their chance with Radio Disney, they were ushered throughout the school to see a variety of demos and meet our incredible staff. 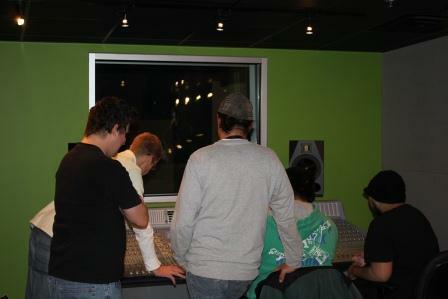 One of the most popular stops on the tour is our new state-of-the-art recording studio, used by our music production and engineering students. Bruce Kirby, our brilliant chair for the music production and engineering and music and entertainment business programs, led a recording session for several crowds of interested visitors. 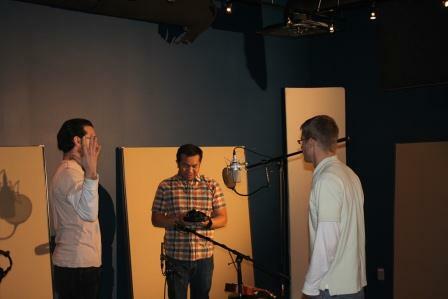 The studio was the site of several tracks being recorded right before their eyes. It was a chance to observe what our students get to do during their program. As the tours continued upstairs, our game art program showed off the gaming lab, where onlookers became participants in playing Borderlands 2. The gamers found it hard to leave the gaming room. They enjoyed the challenge of the game and the wonderment of how behind-the-scenes game production takes place in the labs here at BEAU. In addition, there were demonstrations of 3D modeling with Maya Software and illustrations done in the graphic design studio. Our graphic design program and comic and sequential art program were on display with existing students’ work shown throughout the campus. BEAU.Palooza is a special time for tours, information, playing games and good, old-fashioned fun–but you can come down and take a tour anytime. Just call us at 801-300-4300 and ask to come and see BEAU.